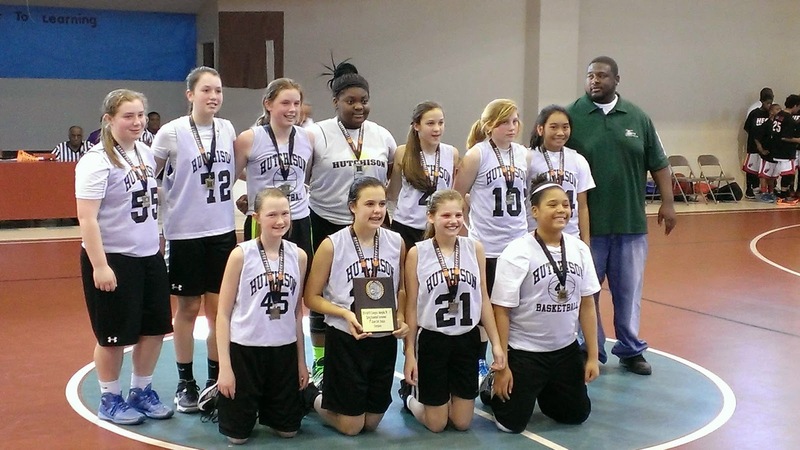 The Team Memphis Elite 7th grade squad participated in the Lady Celtics AAU Tournament this past weekend. Congratulations to the team for going undefeated and winning the championship! I was watching the Syracuse - Kentucky game to get a look at how Cornelia Fondren (Overton) was performing. Then the game went to a time out and I saw former Hillcrest standout, Crystal Riley, on Kentucky's bench. Sounds like she is doing some priceless things for the Kentucky program. 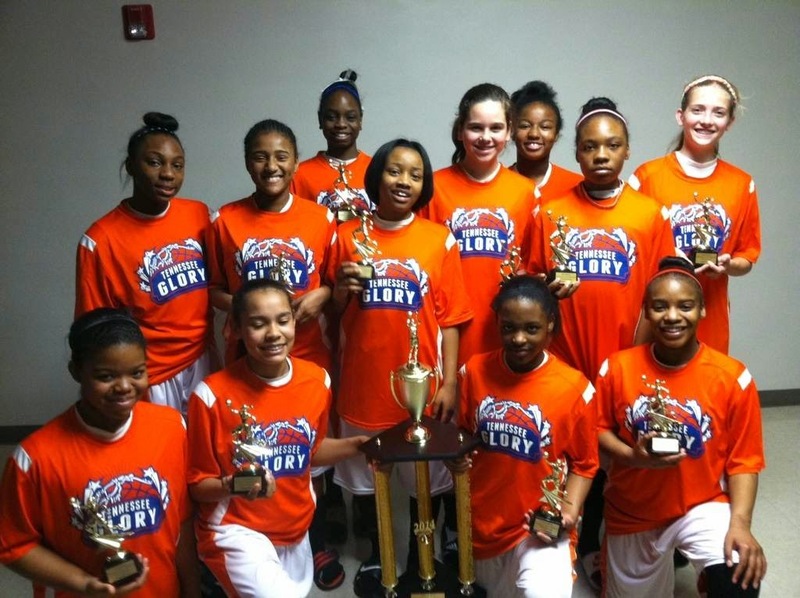 Team Tennessee Glory 7th grade won the D1 Tennessee Super region this weekend in Clarksville!!! 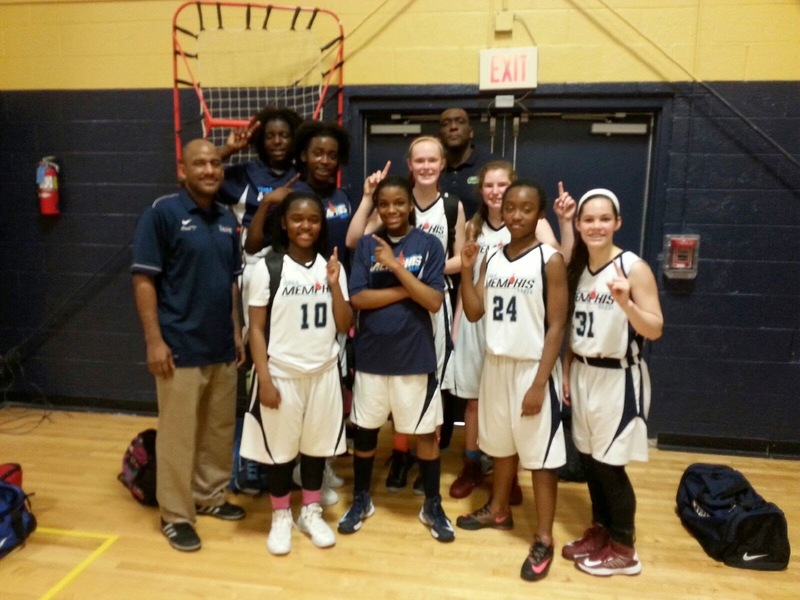 They went undefeated in their 7th grade bracket earning their bid to nationals in Orlando, Florida. The first two weeks of training has been awesome. It is overwhelming to see the growth of my training sessions. I can think back to early last year when some days I only had 1 or 2 players working out with me. By the time I completed hosting sessions, I was averaging about 12 players per session. This year, over the past two weeks I have been averaging over 20 players. I’m excited for the amount of young ladies interested in learning the game and growing in the sport. I am equally excited to have my nieces involved. They are ages 5, 7 and 11. I’m enjoying watching them take a love for the sport and growing in the game. This year I’m offering 2 levels of classes, Basic and Junior. Basic classes are for beginners, players who are interested in trying out for the school team in the fall, and girls currently on a team but with limited experience. Junior classes are for more experienced players looking to gain confidence and skills. Cornelia Fondren will be facing Alicia Payne, Alex Black and Jasmine Joyner in the first round on Saturday. 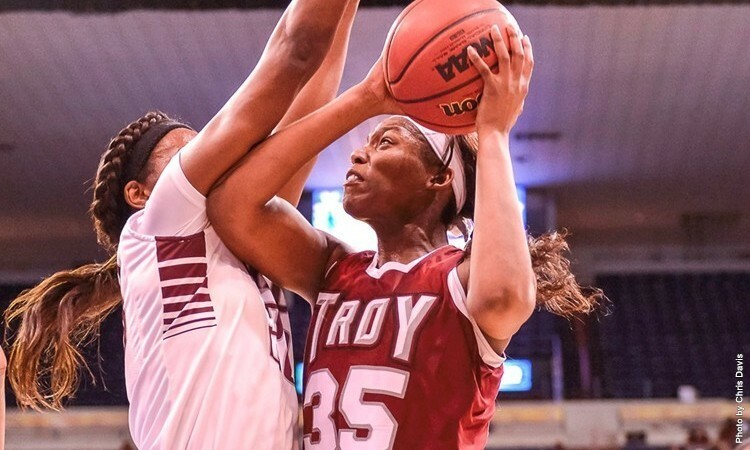 Danielle Ballard will be facing her high school teammate, Aaliyah Whiteside on Sunday. One could say Janna Thompson’s Horn Lake squad gave their coach a belated wedding present Saturday night. A year of happiness, harmony — and no one-upsmanship — in her new home. The Eagles completed a near-perfect season with a nearly perfect performance, routing a young, hobbled Olive Branch squad 74-39 for the Girls Class 6A basketball title at Mississippi Coliseum in Jackson. Led by seniors Olivia Cunningham, A’Queen Hayes and Erica Toney, Horn Lake (29-1) put its foot on the jugular of this game with a 41-15 halftime lead, and never let go. Cunningham, headed to Murray State, had 10 points by halftime while Ole Miss signee Hayes added nine. Both transferred this year to Horn Lake after leading Southaven to last year’s state finals. Hayes got into foul trouble in Saturday’s second half, but Cunningham finished with 19, and senior Erica Toney chipped in 12. It completed a remarkable week for Thompson and her husband Jason. On Thursday, his H.W. Byers High School team took the Class 2A title back home to Holly Springs, the sixth Jason Thompson has coached them to in seven years (three in 2A, three in Class 1A). But to add state titles No. 7 and 8 to the collection as a matched set? “For me that’s a dream that’s almost too good to be true,” she said. That it ensures harmony at all family get-togethers for a year is an added bonus. Vaught, normally a shooting guard, and 5-4 senior Dominique Baker couldn’t beat the relentless Horn Lake pressure, though Baker scored 17 points, including 7-of-10 free throws and a pair of three-pointers. “All things considered, they did a great job, but when you’ve got an eighth grader playing two D-1 talents, it’s going to be tough,” said Jones, whose squad handed Horn Lake its only loss in January. Olivia Cunningham scored 19 points, Erika Toney added 12 and Horn Lake rolled past Olive Branch 74-39 to win the Class 6A girls state championship on Saturday night at the Mississippi Coliseum. The Lady Eagles (29-1) jumped out to an 18-6 lead by the end of the first quarter and were ahead 41-15 by halftime. Cunningham shot 6 of 11 from the field and also added nine rebounds, seven assists, three steals and two blocks. Toney led a Horn Lake bench that contributed 26 points. 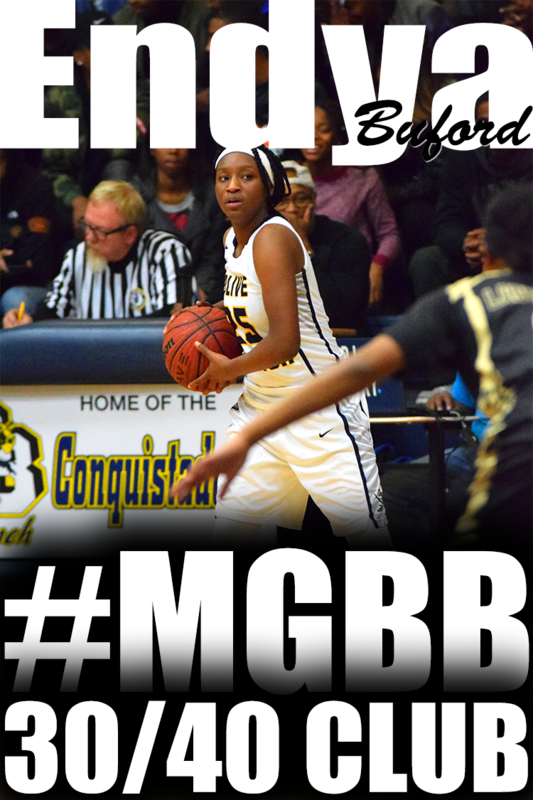 Olive Branch (27-7) was led by Dominique Baker's 17 points and seven steals. The Lady Conquistadors shot just 9 of 36 (25 percent) from the field and were outrebounded 41-27. For the fourth time in the last eight seasons, the Concordia College Alabama Lady Hornets are the USCAA Division I women’s basketball national champions. The eighth seeded Hornets defeated Robert Morris–Springfield Saturday to win the USCAA national title, the program’s fourth overall women’s basketball championship and the first title for head coach Eric Jackson. Jackson said it was never about his team’s seed in the tournament. Instead of zeroing in on an underdog role, he told his players to focus on winning three games — the total needed to win the championship. The Eagles, like all of the other teams in the women’s field, had not played Concordia this season. Despite being the No. 3 seed in the tournament, Robert Morris had not played Concordia this season and struggled with the Hornets’ defense. Concordia held the Eagles to 35.4 percent shooting and forced 16 turnovers in the game. With the game tied 51-51 in the second half, tournament MVP Tykeria Johnson took control of the game. Johnson scored the next nine Hornets’ points and gave Concordia a 60-53 lead with 4:50 left to play in the game. From there, Concordia held on by only allowing the Eagles to make two field goals the rest of the way. The game was clearly a tale of two halves. In the first half, Robert Morris controlled the action and led 17-11 after a Tracy Osby layup at the 10:40 mark. Concordia answered with a 9-0 run to close the half, allowing the Hornets to take a 32-27 advantage into halftime. The Eagles chipped away in the second half before ultimately tying the game 51-51 on a Cassandra Baker three-point shot, but the Hornets responded with their own run. Johnson made back-to-back layups and nailed a three-pointer to quickly keep Robert Morris at bay and the Hornets led from that point on. 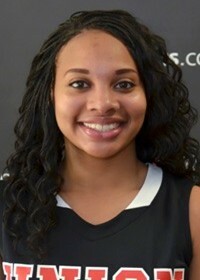 Johnson had 29 points and 12 rebounds for Concordia and Lashay Lettingham scored 17 points and brought in 17 rebounds. Baker scored 15 points to lead Robert Morris and Traci Osby added 12 points. Concordia out-rebounded the Eagles 50-46 and also only turned the ball over 11 times. Olive Branch guard Mahogany Vaught (4) drives around Harrison Central's Jazzmun Holmes. Myah Taylor watched, with tears in her eyes, as her team celebrated its win. Olive Branch had just defeated Harrison Central 49-44 in the semifinals of the MHSAA Class 6A girls state championship Wednesday at the Mississippi Coliseum. But it did so for the majority of the second half without its star freshman guard, who leads the team in scoring. Taylor went down with a suspected ankle injury midway through the third quarter and didn’t return. Olive Branch (27-6) quickly coughed up its nine-point lead without Taylor, but the team rallied around its injured star and pulled away in the fourth quarter. Olive Branch will play Horn Lake in the Class 6A title game, likely without Taylor. Jones didn’t know all of the details, but said it was a “99 percent chance” she wouldn’t be ready to go by Saturday’s final. Taylor had to be carried off the court by Jones and teammate Savanna Geeslin after the game. 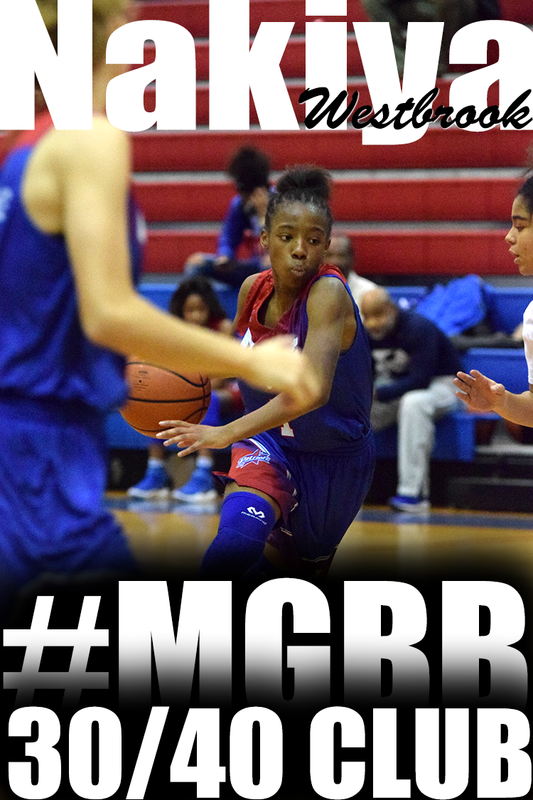 That means eighth-grader Mahogany Vaught will have to carry even more of the scoring weight. Vaught, who is the team’s second-leading scorer, came up huge in the second half with Taylor sidelined. She scored 12 of her 17 points in the second half, six of which came from the free throw line. During one stretch, Vaught hit two free throws and then made a basket to build a four-point lead. Dandy Dozen guard led Harrison Central (20-11) with 15 points and 11 rebounds. Horn Lake's Olivia Cunningham scored a game-high 27 points to help the top-ranked Lady Eagles fend off Meridian in Wednesday's 6A semifinal bout. 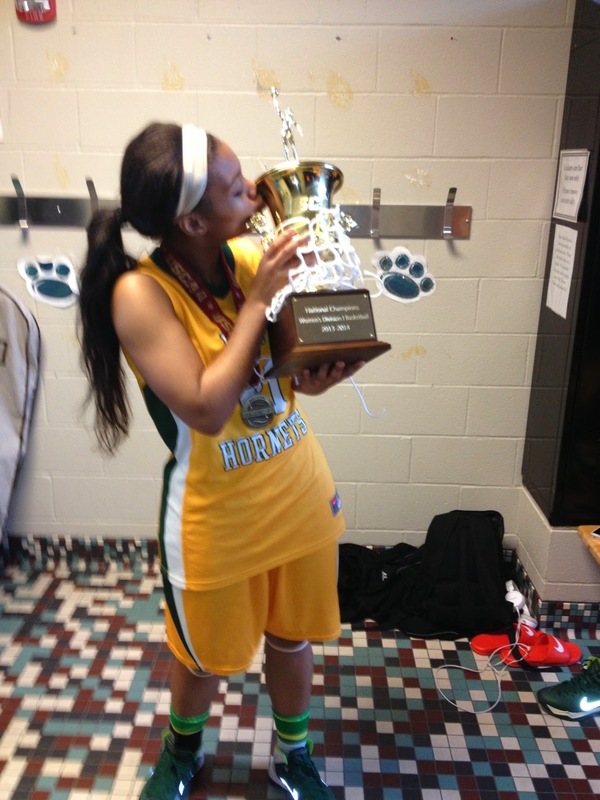 Olivia Cunningham was in eighth grade the last time Horn Lake won a state championship. Now she’s one win away from her own. Behind the Dandy Dozen and Murray State signee, Horn Lake held off Meridian 61-53 in the girls semifinals of the Class 6A State Tournament on Wednesday night at the Mississippi Coliseum. The Lady Eagles (29-1) will face rival Olive Branch for the Class 6A state championship on Saturday night at 6:30 p.m. Horn Lake is in the state title for the third time in the last seven years, but only managed one title during that span, in 2010. Cunningham finished with a game-high 27 points (15 in the first half), five assists, two steals and two block shots. She scored 15 of Horn Lake’s first 17 points. Horn Lake trailed by as much as nine points in the first half and did not take its first lead of the game until 3:45 left in the third quarter on a Bryanta Conley 3-pointer. Conley and Dandy Dozen guard and Ole Miss signee A’Queen Hayes added eight points each for Horn Lake, which has won 11 straight since a 56-51 defeat to Olive Branch on Jan. 17, its lone loss of the season. Saturday’s matchup will be the fifth meeting between the two DeSoto County schools this year. Olive Branch (49) — Dominique Baker 5, Teal Battle 8, Savanna Geeslin 8, Myah Leflore 4, Myah Taylor 7, Mahogany Vaught 17. Harrison Central (44) — Drakeford 8, Holmes 15, Cooper 12, Norwood 2, Johnson 7. Records — Olive Branch 27-6, Harrison Central 20-11. Meridian (53) — Naylor 13, Crowell 9, Gordon 13, Dubose 18. Horn Lake (61) — Brayanta Conley 8, Olivia Cunningham 27, Treasure Evans 2, A’Queen Hayes 8, Tae’lour Richardson 4, Alondrea Rush 3, Alexyse Thomas 7, Erika Toney 2. Records — Horn Lake 28-1. 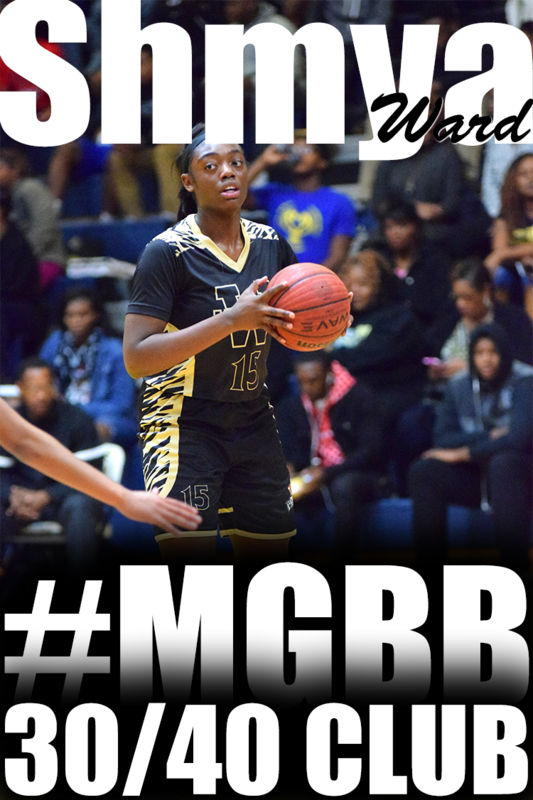 Olive Branch and Horn Lake will open play in the 6A Mississippi High School Activities Association girls state basketball tournament Wednesday at Veterans Memorial Coliseum in Jackson. Coach Blake Jones' Quistors (26-6) will take on Harrison Central (20-10) in a semifinal game that tips off at 1 p.m. Freshman Myah Taylor leads OB in scoring at 13.7 points per game, while eighth-grader Mahogany Vaught contributes 10.7 points per contest. Horn Lake, which beat Olive Branch, 77-33, in the North Half title game on March 1, will take on Meridian at 6:30 p.m. in the other 6A semifinal. 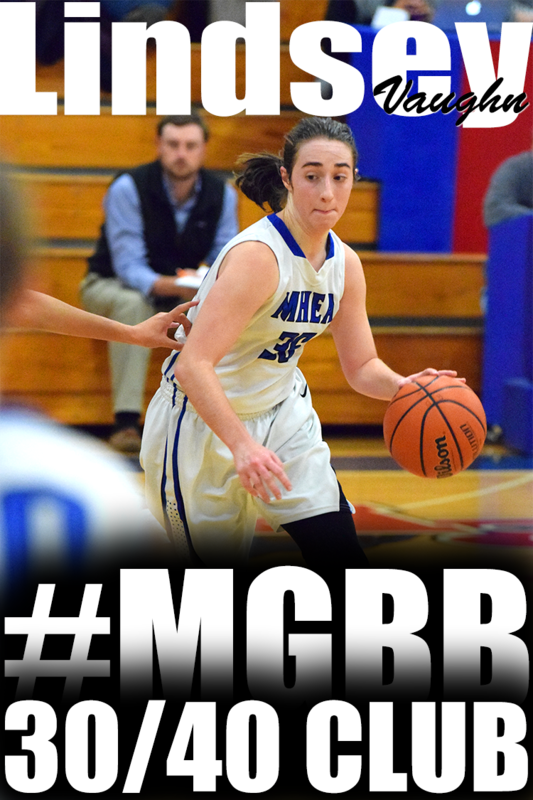 Seniors Olivia Cunningham (13.4 ppg.) and A'Queen Hayes (12.2) are the leaders for coach Janna Thompson's Eagles, who enter the tournament with a 27-1 record. Ridgeway's Breounna Humphrey falls as she's defended by Blackman's Meme Jackson (22) and Micah Norris (11) in the first half of their TSSAA Division I-AAA championship basketball game Saturday, March 8, 2014, in Murfreesboro, Tenn. There was a moment in the second quarter of Saturday’s TSSAA BlueCross AAA girls basketball championship game when a simple inbounds pass — with no pressure being applied — ended up nowhere near its intended target, Brandi Beasley. The Ridgeway sophomore guard looked at the teammate who threw it with a mixture of confusion and exasperation. That’s the kind of day it was for the Roadrunners. Murfreesboro Blackman, ranked No. 1 in the nation in the MaxPreps and USA Today polls, capped a 34-1 season with a 65-44 victory over Ridgeway at Middle Tennessee State University’s Murphy Center. The Roadrunners, who were playing in their first title game, end the season with a 30-4 mark. The game was decided in the first half when Ridgeway shot just 28.6 percent from the floor, converting 6 of 21 attempts. The Blaze, meanwhile, was living up to its nickname, going 13 of 22 (59.1) percent. Blackman led at the half, 31-16. While Ridgeway was struggling to convert, Blackman was getting a strong performance from pretty much everyone, including tournament Most Valuable Player Crystal Dangerfield, who scored 19 points. Blackman ended the game shooting 54 percent, compared with 30 for the Roadrunners. And with the rebounding and turnover battles pretty much even, that was the difference. Beasley capped an excellent tournament by scoring 16 to lead Ridgeway. Brown added 13 and a game-high 12 rebounds. Senior Ashley Jackson, who wasn’t expected to play after spraining her ankle in Friday’s semifinal victory over Rossview, gritted her way through seven minutes, scoring six points and grabbing five rebounds to join Beasley and Brown on the All-Tournament team. “I think we accomplished a lot,” said Beasley, who will be one of several key returning players that should have Ridgeway right back in the state title chase next year. Murfreesboro Blackman (65) — Norris 5, Jackson 14, Bond 5, Dangerfield 19, Johnson 19, Williams 3. 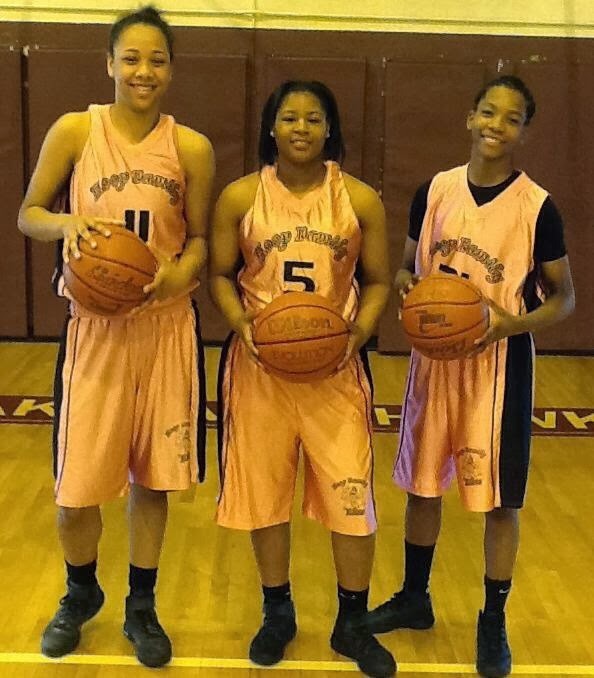 Ridgeway (44) — Brandi Beasley 16, Oreonna Brown 13, Breoynna Humphrey 3, Ashley Jackson 6, Tierany Paylor 6. Records — Murfreesboro Blackman 34-1, Ridgeway 30-4. With adversity mounting by the minute, the Ridgeway girls basketball team could have easily folded Friday at the Murphy Center. Instead, the Roadrunners will be playing for the state championship. Eryn Foster scored inside with 3.7 seconds left to give them a heart-stopping 52-50 victory over Clarksville Rossview in the semifinals of the BlueCross AAA state tournament. The victory sends Ridgeway (30-3) to the title game for the first time in school history, where it will face the No. 1 team in the nation according to USA Today and MaxPreps, Murfreesboro Blackman. The Roadrunners, who had won only one state tournament game in school history before this week, played well in the first half and led the Lady Hawks at the break, 29-20. But that’s when the trouble started. Foster and Tierney Paylor both picked up their fourth fouls early, with Paylor fouling out late in the third quarter. And to make matters worse, star senior Ashley Jackson left the game midway through the third with an ankle injury and did not return. All that allowed Rossview (28-4) to climb back into the game, eventually taking a 44-39 lead with five minutes to go. Ridgeway trailed 46-43 with 3:49 to go when Alexus Bryson connected on a 3-pointer to tie it. Beasley, who led the Roadrunners with 17, then came up with a steal and a layup to give her team the lead. Janie White, who led Rossview with 24, scored inside and was fouled with 1:16 to go but missed the free throw, leaving it tied at 50. Ridgeway worked the clock for the last shot and got it in close to Foster, who missed. But Bryson sneaked in for the offensive board and fed it back to Foster, who didn’t miss a second time. Brown then came up with a steal at midcourt to finish off Rossview once and for all. 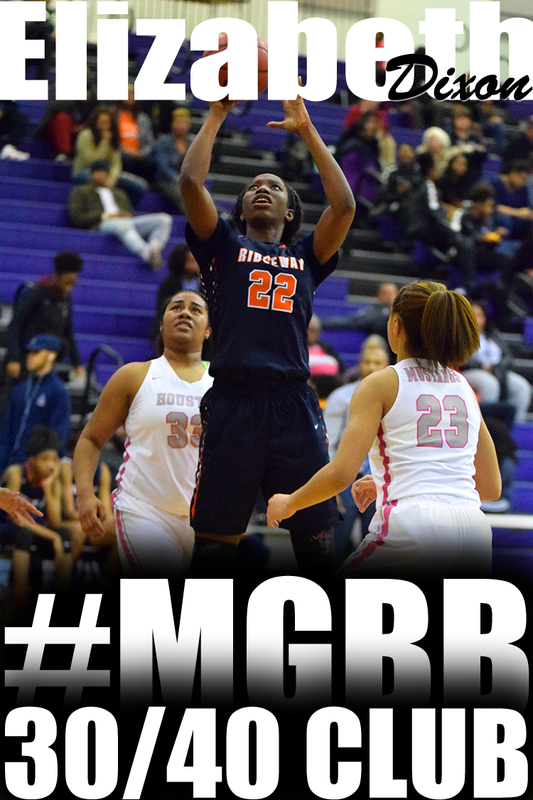 Brown and Jackson each had eight points for Ridgeway, which shot 43 percent and out-rebounded the Lady Hawks 34-24. Junior Kendra Boone gave the team valuable minutes with Paylor and Foster in foul trouble, finishing with five points and six boards. Per a Facebook post by Hoop Family Elite coach, Cedric Lewis, Barbara Wells, Marshea Lewis, and Derica Wiggins have verbally committed to Jackson State University. Rhodes basketball player Lauren Avant, center, hangs out with teammates Natalie Goodrum, left, and Blaire Smith, right, before practice. A St. Jude researcher was instructing Avant and 14 other Rhodes College students about the process of cellular death and how organisms adapt to changing conditions. At this juncture of Avant’s basketball life, in a career defined by transcendent on-court brilliance but also excruciating physical torment, the topics seemed apt. Avant, a 5-8 senior guard, leads Rhodes into this weekend’s Division 3 NCAA Tournament feeling more joy than pain, but keenly aware that her playing career is coming to an end. “I feel like I’m playing some of my best basketball, really moving fluently,” she says in one breath. Avant, the key player on a 25-4 Rhodes team harboring national championship ambitions, was featured in Sports Illustrated as a 10th-grader at Lausanne Collegiate School, for a series on future stars called “Where Will They Be?” At the time, the Avant plan envisioned four years with the University of Tennessee’s mighty program and legendary coach, but she claims no regrets about the events that led to a detour back to her hometown. A string of injuries that began shortly after her junior season at Lausanne sabotaged her career and contributed to her leaving Tennessee after her freshman season in 2011. She landed at Rhodes, joining her former Lausanne teammate Sharwil Bell with plans to take advantage of the rigorous academics to pursue a career in medicine. Then, in her first week as a Rhodes student, Avant tore her Achilles tendon in a pickup game. She got back midseason in time to lead Rhodes to an 18-8 record that sophomore year, then needed postseason ankle reconstruction surgery. But the love has returned, helped by a junior year that saw Rhodes advance to the second round of the NCAAs and a senior year producing a statline that seems unreal — 25 points per game, 7.5 rebounds, 2.6 assists, 2.7 steals and, on shots inside the three-point line, a crazy .611 shooting percentage. 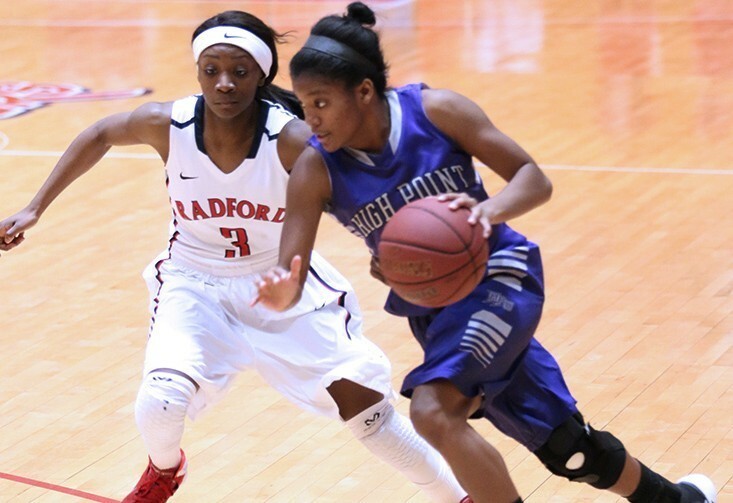 She scored 36 points in Saturday’s conference tournament title game victory over Centre College. The coach of Rhodes’ opponent Friday, Charles Just, says Avant is “the most talented player” his Spalding University team will have seen this year. “She’s got the whole package,” he said. It started, says her mother Dana Avant, on a basketball half-court installed at the house in Raleigh where Lauren lived until the fifth grade. Neighborhood kids, mostly boys, would come over most days, and the one rule Dana insisted upon — they had to include young Lauren in the games. One reason Dana installed the court, she said, was to give her less grass to mow. She was a widow, after all. The first of what would be dozens of mentions of Lauren in this newspaper came in her father’s obituary. A stepfather, Andre Pruitt, helped guide Lauren’s youth career, serving as a coach in the summer. She attended Harding Academy, spent one year at East in middle school before moving to Lausanne and winning state titles there. The one year she spent at Tennessee, Avant said, did allow her to gain invaluable insight from Hall of Fame coach Pat Summitt. Her love for the game renewed, Avant said, she now wants to pursue coaching after graduating from Rhodes in May. Her mother said she blames Rhodes coach Matt Dean for the transformation. Avant has been accepted into an NCAA program for aspiring coaches, and will attend the Division 1 women’s Final Four in Nashville. But the young woman who developed her game on that backyard half-court in Raleigh plans to play for at least a few weeks more. 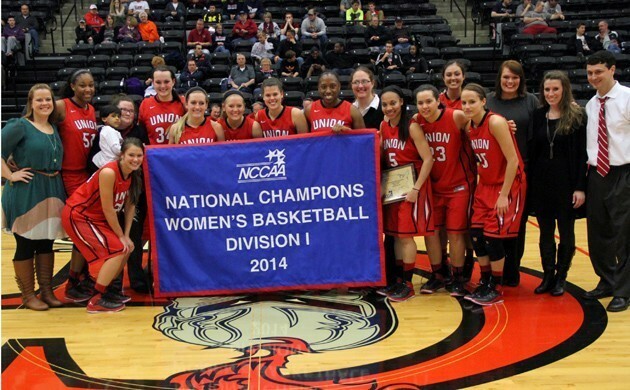 What: First- and second-round games in Division 3 NCAA women’s basketball tournament. Where: Mallory Gymnasium at Rhodes College. Friday: 5 p.m., University of Texas-Tyler vs. Maryville (Tenn.) College; 7 p.m., Spalding University vs. Rhodes. Saturday: 6 p.m., first-round winners play for Sweet 16 berth. Ridgeway (53) — Brandi Beasley 17, Oreonna Brown 4, Alexis Bryson 2, Eryn Foster 12, Breoynna Humphrey 2, Ashley Jackson 7, Tierany Paylor 9. Bradley Central (45) — Brown 1, Copeland 21, Reuter 15, Summers 2, Hughes 6. Records — Ridgeway 29-3, Bradley Central 26-6. Houston (38) — Amber Braxton 2, Cheridan Burroughs 3, Aysha Harris 6, Marisa Knox 7, Sydney Malone 3, Madeson McCaster 2, Alise Parker 2, Chanda Reid 2, Jaida Roper 9, Shannon Sharp 2. Murfreesboro Blackman (52) — Norris 4, Jackson 3, Bond 8, Dangerfield 18, Johnson 13, Williams 2, Allen 3, Greatrex 1. Records — Houston 26-8, Murfreesboro Blackman 32-1. Sophomore guard Jaida Roper summed it up best in the post-game press conference. "What can you do?" she shrugged. That's the kind of day it was for Houston Thursday at the Murphy Center. The most successful girls basketball season in school history came to an end in the quarterfinals of the AAA state tournament, as Houston fell to Murfreesboro Blackman, 52-38. The Blaze, who improved to 32-1, are ranked first in the nation in both the USA Today and MaxPreps polls. Cold shooting is what cost the Mustangs; they finished the game with just nine baskets and ended up at just 22 percent from the floor. "We played good defense, rebounded, everything. 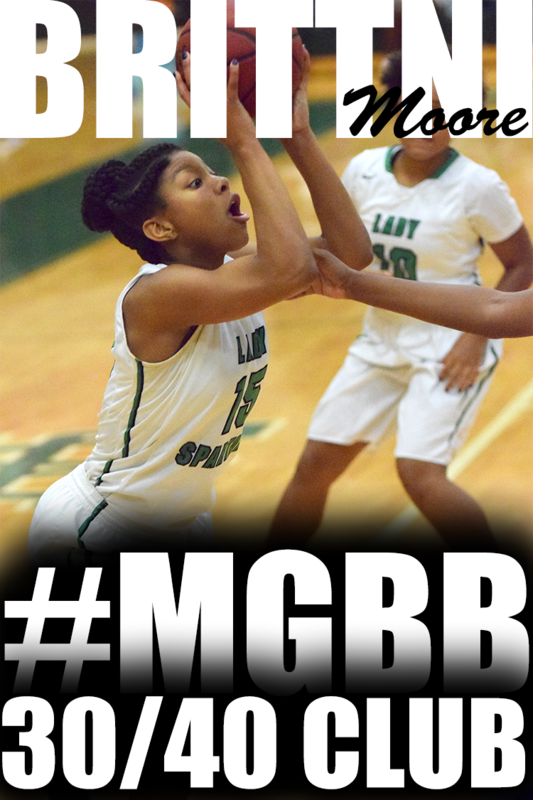 We just didn't hit our shots," said senior Aysha Harris. Indeed, for a good part of the game Houston's game plan was very effective. Blackman's first basket of the game didn't come until the 1:46 mark of the first quarter. And the Mustangs' tempo -- not an all-out stall by any means but very patient -- created several good scoring opportunities. "We controlled the tempo," said senior guard Marisa Knox. "We wanted to play at a slow tempo and get free throws but the shots just weren't falling." And with Houston struggling to score, it was only a matter of time before Blackman asserted itself. The Blaze led 20-11 at halftime and built a double-digit lead in the third quarter before using an 8-1 run in the fourth to take control for good. Crystal Dangerfield, a AAA Miss Basketball finalist, led Blackman with 18 points. Alex Johnson added 13 and 10 rebounds. "Not only do they have five players who will play in college, they have five players with very high skill levels," said Houston coach Chad Becker. "That's why they're number one. But you're not going to shoot 22 percent and win in the state finals." Roper led the Mustangs with nine points. Knox chipped in with seven. After the game, Becker praised the leadership of Roper, Harris and Knox, who formed the backbone of a team that won both the District 15 and Region 8 tournaments, while finishing 26-8. "There were points in the season where our season could have disintegrated," said Becker. "But these three here kept that from happening. We won 12 in a row just to make it here ... we did well for ourselves." Added Roper, "I'm proud of us. It was a great season." There was no decisive knockout punch. No dagger. Just a gradual, methodical — and impressive — effort for the Ridgeway girls basketball team Wednesday. The Roadrunners — making their first appearance in the AAA state tournament since 2006 — advanced to the semifinals with a 53-45 victory over Bradley Central at Middle Tennessee State’s Murphy Center. The victory gives Ridgeway (29-3) a matchup Friday at 10 a.m. against Rossview, which defeated Morristown West, 52-47, in another quarterfinal game. Early on though, it looked like the Roadrunners would be heading home. Behind the play of Brooke Copeland, a 6-2 University of Florida signee, the Bearettes built an early seven-point lead. But instead of panicking or folding, the Roadrunners did what they’ve done all year, play with poise and execute. Despite shooting just 33 percent in the first half — compared to 52 for the Bearettes — Ridgeway trailed by just three at halftime. A steal and a layup by Oreonna Brown gave them their first lead, 29-28, early in the third quarter and they never trailed after that. 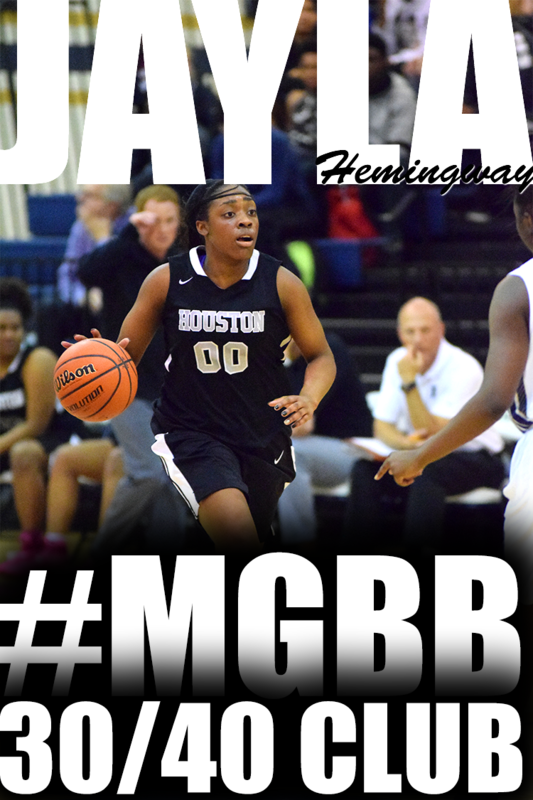 And more aggressive; the Roadrunners outrebounded the taller Bearettes, 16-12, on the offensive glass. Copeland, who scored 13 points in the first quarter, ended with just 21 as Bradley Central shot a miserable 15 percent in the second half, going 3 of 20 from the floor. Eryn Foster, a 6-2 sophomore, did a fine job helping combat Bradley Central’s bigs, finishing with 12 points and 10 rebounds. Tierney Paylor had nine points and Jackson finished with seven and 11 boards to send the Roadrunners into the semifinals for the second time in school history. “I think we match up well,” said Kendall of Friday’s semifinal against Rossview. “Their No. 14 (senior guard Janie White) is pretty good. We’ll find a gym somewhere and get a gameplan together. Houston’s Aysha Harris dribbles against Murfreesboro Blackman’s Meme Jackson in the second half on Wednesday. Blackman won, 52-38. Cold shooting brought the most successful Houston girls basketball season in history to an end as they fell to the Blaze (32-1), who are ranked No. 1 nationally by USA Today and MaxPreps. Houston made just nine baskets for the game, shooting 22 percent. “We played good defense, rebounded, everything. 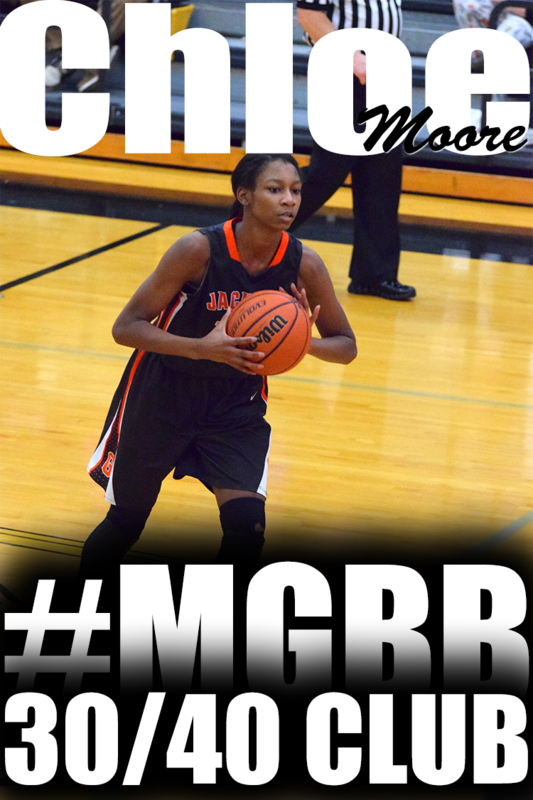 We just didn’t hit our shots,” said senior Aysha Harris. Jaida Roper scored nine points to lead Houston, which finishes 26-8 after advancing to the state tournament for the first time in school history. 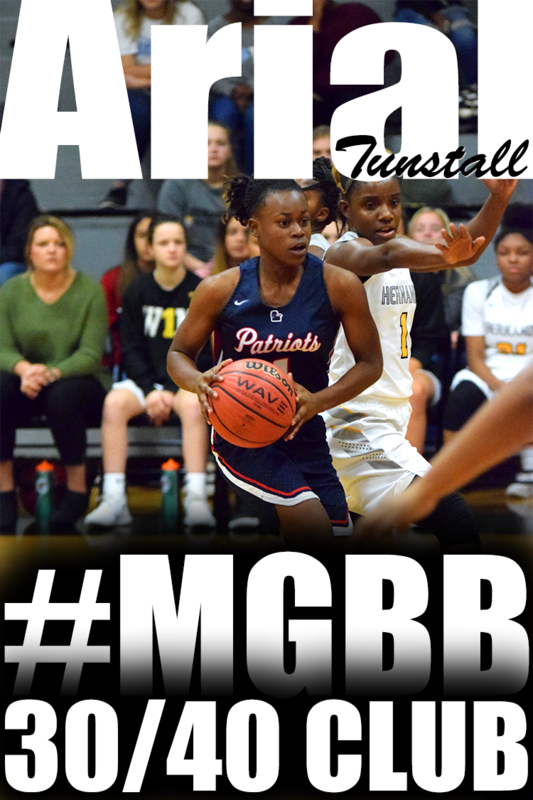 Crystal Dangerfield, a AAA Miss Basketball finalist, scored 18 points to lead Blackman. The AAA girls state basketball tournament begins Wednesday at Middle Tennessee State's Murphy Center, with Ridgeway and Houston representing Shelby County. Here is a look at each team's first-round matchup. Road to state: Ridgeway beat Central, 67-62, in region quarterfinals, beat White Station, 56-45, in region semifinals and lost to Houston, 36-27, in region championship game before beating Bolton, 64-58, in the sectional. Bradley Central beat Rhea County, 62-34, in regional quarterfinals, beat White County, 52-33, in region semifinals and beat Cumberland County 76-72, in region championship game before beating Murfreesboro Oakland, 37-36, in the sectional. What to watch for: Kendall has molded the Roadrunners into a very dangerous unit over the last few seasons. Ridgeway is athletic and skilled and won't beat itself. Sophomore Brandi Beasley and junior Alexus Bryson -- one of the area's assist leaders during the regular season -- form a potent backcourt that will have to handle Bradley Central's pressure. Ashley Jackson is a consistent double-double performer, and promising sophomore Eryn Foster has great hands and a nice touch in the paint. Junior guard Oreonna Brown had 15 points and nine rebounds in the sectional win over Bolton, and she and junior Breounna Humphrey will be expected to contribute off the bench. Bradley Central, which has won five state championships and is making its 26th tournament appearance, can shoot the 3 but is strongest in the paint, where 6-2 senior Brooke Copeland (a Florida signee) and 6-3 senior Rebecca Reuter form an imposing tandem. Road to state: Houston beat Overton, 45-41, in region quarterfinals, beat Whitehaven, 56-45, in region semifinals and beat Ridgeway, 36-27, in region championship before beating Dyer County, 50-33, in the sectional. Blackman beat Franklin County, 55-8, in region quarterfinals, beat Murfreesboro Riverdale, 82-66, in region semifinals and beat Murfreesboro Oakland, 41-33, region championship game before beating Cumberland County, 72-39, in the sectional. What to watch for: Could the Mustangs have drawn a tougher situation for the their first-ever state tournament game? Blackman enters the game ranked first in the nation according to MaxPreps and USA Today and will have a huge homecourt advantage as well. And the two teams played earlier this season, with Blackman winning 61-37 in the Ezell-Harding Tournament on Dec. 20. Blackman's star is lightning-quick sophomore guard Crystal Dangerfield, a Miss Basketball finalist who is ranked as the No. 7 prospect in the nation in the class of 2016. The Mustangs don't have anyone on that individual level, but they do have a cohesive squad that has played very well down the stretch, including two victories over Ridgeway. 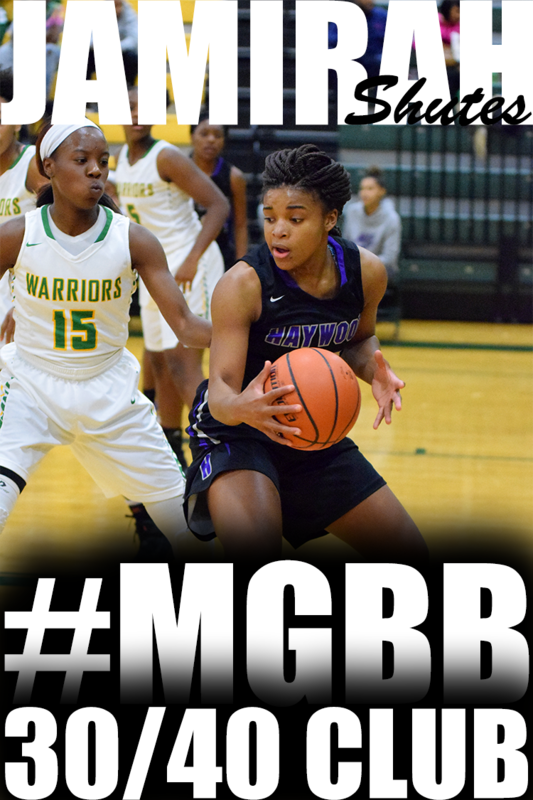 Sophomore Jaida Roper and senior Aysha Harris will need to have big games and senior point guard Marisa Knox, who started for Central's state championship-winning team two years ago, will need to help the Mustangs control the tempo. March is the season for upsets, and Houston will need a big one Wednesday in order to keep the best season in school history alive. Briarcrest basketball standout Jasmine Cincore said winning her second consecutive Division 2-AA Miss Basketball award Saturday was “huge.” Well actually, it was a little more than that. “It’s huge. Huge, huge, huge, huge,” she said. Cincore, a 5-9 senior who plays guard and forward for the Saints, won the award Saturday at Lipscomb’s Allen Arena, following the D2-AA girls state championship game. And while there might have been a couple of more “huges” in there, Cincore was clearly delighted to repeat. Cincore, who will play at Nebraska next season, averaged 15.2 points, eight rebounds, 3.1 assists and 3.1 steals for the Saints this season. She shot 49 percent from the floor and 74 percent from the free-throw line. 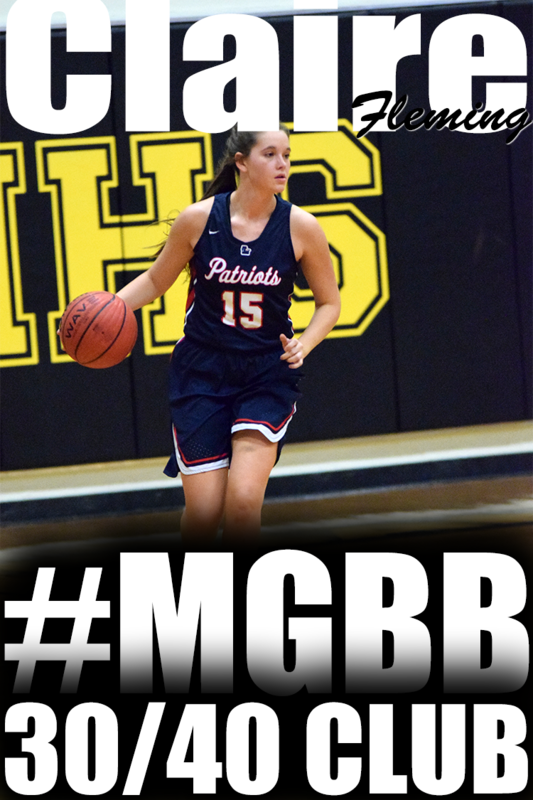 But perhaps the most impressive number attached to Cincore’s career is this: In her two seasons on the Briarcrest varsity after transferring from Central, her team won 54 of 57 games, including a 28-1 finish this year that ended with a loss Friday to state champ Brentwood Academy in the semifinals. Kennesha Echols of state champion Ensworth and Kennedy Potts of Harpeth Hall were the other two finalists in D2-AA girls. Cincore, who joins Alliesha Easley (2006), Jada Mincy (2003) and Ashley Earley (2001) as Briarcrest players who have won the award, was the only Memphis player honored Saturday. Micah Sheetz of Knoxville Webb, who was named Most Valuable Player after leading her team to the state championship on Saturday, won the D2-A girls award over a pair of Memphians, junior Kaylan Pugh of St. Mary’s and sophomore Emily Lytle of Evangelical Christian School. Facing the double whammy of foul trouble and momentum from upstart Bolton, Ridgeway had to quickly find an anchor to keep its dream season going Saturday night. It found two as juniors Oreonna Brown and Eryn Foster steadied things long enough for the Roadrunners to claim a 64-58 victory in Saturday’s Class AAA sectional round game at Bolton. The Roadrunners (29-4), still smarting from district and regional tournament final losses to Houston, will join the Mustangs in the state tournament next week in Murfreesboro. Foster, a 6-2 force in the paint, scored 10 of her 18 points in the final quarter, including a putback basket that gave the Roadrunners the lead for good at 59-57. “I slowed down more this game, and shots felt better,” said Foster, who had rushed several shots in the regional final. She left the game twice with left knee problems, and she was helped off the court in the final seconds. Brown scored eight of her 14 points early, but like many of her teammates she got into foul trouble. Still, she managed six points in the final quarter. “We kept encouraging each other, telling ourselves we could do this,” Brown said. The Wildcats, down 12 early in the second quarter, roared back behind sophomore Charity Savage, who scored 14 of her 24 points in the second half despite taking an elbow in the head during one dash for a rebound. “We weren’t going down without a fight,” Savage said. With Ridgeway forced into zone coverage, the Wildcats started raining 3-pointers down the stretch. Senior Kayla Bolden had five 3-pointers and 18 points, including a 3-pointer off a cross-court feed from Savage that gave Bolton (22-8) a 56-55 lead with 2½ minutes to play. Class AAA sectional: Jaida Roper scored 21 points, Alise Parker 19 and shutdown defense in the middle two quarters powered Houston (26-7) to a 50-33 win over Dyer County (25-4) for a berth in the state tournament. Class AA sectional: Visiting Martin Westview rallied in the fourth quarter, then outscored Covington (26-8) 17-8 in overtime for a 69-60 victory despite 23 points from the Chargers’ Precious Harvey. Mississippi Class 6A North Half final: Olivia Cunningham scored 18 points, A’Queen Hayes added 16 and Horn Lake (27-1) rolled to a 77-33 win over Olive Branch, led by Mahoguny Vaught’s nine points. Both teams advance to the state tournament, which starts March 12 in Jackson. Ridgeway (64) — Brandi Beasley 11, Kendra Boone 2, Oreona Brown 14, Alexis Bryson 6, Eryn Foster 18, Breounna Humphrey 5, Ashley Jackson 3, Tierany Paylor 5. Bolton (58) — Kayla Bolden 18, Samaria Grandberry 4, Kiersten Rodgers 2, Charity Savage 24, Taylor Smith 7, Kerrice Watson 3. Records — Ridgeway 28-4, Bolton 21-9. Dyer Co. (33) — Crain 9, Enochs 4, Hicks 9, Jackson 3, Owen 5, Spence 3. Houston (50) — Cheridan Burroughs 1, Aysha Harris 9, Marissa Knox 7, Madeson McCaster 5, Alise Parker 4, Jaida Roper 21, Shannon Sharp 3. Records — Dyer Co. 25-4, Houston 26-7. Martin Westview (69) — Kaley Leyhue 10, Lydia Pritchett 2, Tiffany Rechis 22, Alexus Taylor 2, Kendall Leyhue 10, Titi Vincent 5, Diana Flippin 18. Covington (60) — Chelsey Dye 2, Precious Harvey 23, Janekia Mason 11, Treasury Poindexter 8, LeShaundra Somerville 16. Records — Martin Westview 24-12, Covington 26-8. Northpoint (40) — Ashtyn Baker 20, Lindsay Bramlitt 2, Karlie Hughes 2, Kimberlee Keltner 11, Andrea Sparkman 5. Knoxville Webb (58) — Satterfield 2, Davis 8, Scheetz 12, Maxwell 13, Collier 10, Smith 5, Vance 8. Horn Lake (77) — Brayanta Conley 9, Olivia Cunningham 18, Tranika Echols 6, Treasure Evans 8, A’Queen Hayes 16, Alexyse Thomas 12, Erika Toney 8. Olive Branch (33) — Dominique Baker 6, Teal Battle 7, Savannah Geeslin 4, Myah Leflore 4, Myah Taylor 3, Mahoguny Vaught 9. Records — Horn Lake 27-1. NASHVILLE — Northpoint’s girls basketball team spent all afternoon Saturday playing catch-up against Knoxville Webb in the BlueCross Division 2-A state championship game. But the Spartans refused to be caught. Webb won its fourth championship overall and second in the last three seasons, turning back the Trojans, 58-40, at Lipscomb University’s Allen Arena. The Trojans, who won the West Region championship, finished 30-4. “They’re a really good team,” said Barry Gray, who has coached the Trojans to a 55-12 record and two state tournament trips over the last two seasons. The Trojans never led but never looked completely out of it until the Spartans began to pull away in the closing minutes. Northpoint got as close as four midway through the third quarter but couldn’t get over the hump. And Webb got the big shots it needed, thanks to Dasia Maxwell (team-high 13 points) and tournament Most Valuable Player Micah Sheetz (12). Freshman guard Ashtyn Baker was excellent for the Trojans, scoring 20 points on a variety of acrobatic drives and pulling down seven rebounds. Keltner, a 5-8 guard who has drawn interest from Blue Mountain College and Mississippi College, finished with 11 points and eight rebounds in her final high school game. Northpoint’s 3-point shooting, which was extremely effective in Friday’s semifinal victory over University School of Nashville, was nonexistent in the final. The Trojans were 0 of 6 from beyond the arc.